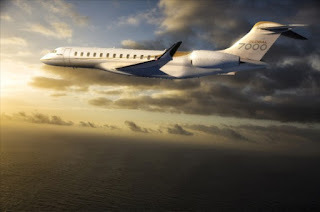 Bombardier is thrilled to announce that a full-scale mock-up of its eagerly anticipated Global 7000 aircraft will be on display in Singapore offering guests a rare opportunity to experience the aircraft’s unmatched spaciousness and luxury first hand. The mock-up of the Global 7000 aircraft features a dining area, entertainment lounge, en-suite master bedroom and private washroom. The fully equipped kitchen includes high-end appliances, with ample room for dinnerware and glassware. The interior of the aircraft is highly customizable, and owners seeking to create the ultimate in-flight experience will be able to configure the interior to reflect their personal tastes. 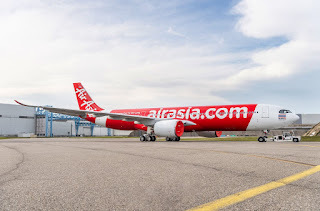 Guests who arrange a special private viewing of the mock-up will be able to explore the full length of the cabin, from the cutting-edge cockpit to the expansive luggage bay at the rear, which was designed to be fully accessible during flight. The full-size mock-up will be on display for two weeks on Singapore’s Keppel Island, starting March 1. 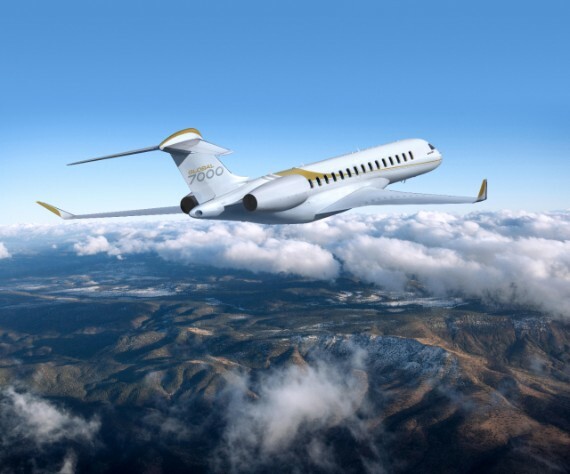 This exclusive visit to Singapore will be the Global 7000 mock-up’s first appearance in the Asia-Pacific region, after recently visiting the Jetex Private Terminal in Dubai. The mock-up’s arrival comes on the heels of Bombardier’s presence at the Singapore Airshow, one of the most important aerospace and defence exhibitions in the world, where interest and anticipation around the Global 7000 aircraft were palpable. Bombardier business jets, with their exceptionally smooth ride, impressive range and unparalleled luxury, are ideal for private aviation clientele in the Asia-Pacific region. Bombardier also has a world-class service centre in Singapore for convenient access to maintenance, refurbishment and modifications for our customers across the region.